Belgian based, fueled by passion, inspired by the past. Founded by vintage watch collector and one of the leading members of the Belgium Watch Club, Stijn Busschaert. A watch enthusiast for years, Stijn decided to create his own brand and infuse his passion into the market. Méraud’s mission is to create exceptional, yet affordable vintage-inspired timepieces. The result is the Méraud Bonaire. A mechanical timepiece built by modern standards with a pure design where form follows function. Inspired by yesterday’s finest watches, but crafted for today’s watch enthusiasts, Méraud brings together the best of both eras. 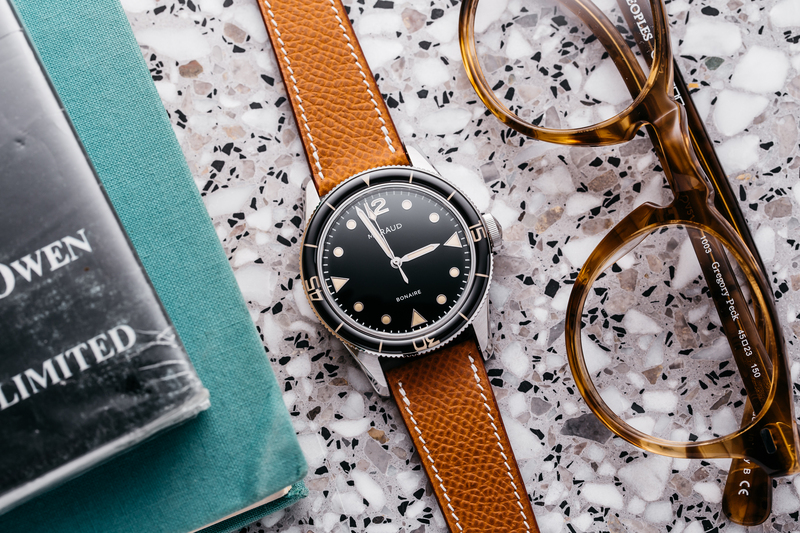 We’re well-versed in the nuances of vintage and heritage timepieces and approached Méraud’s designs from the mindset of a passionate collector. Influenced by dive watches from the 1960s considered by many watch aficionados to be the golden era of tool watches. 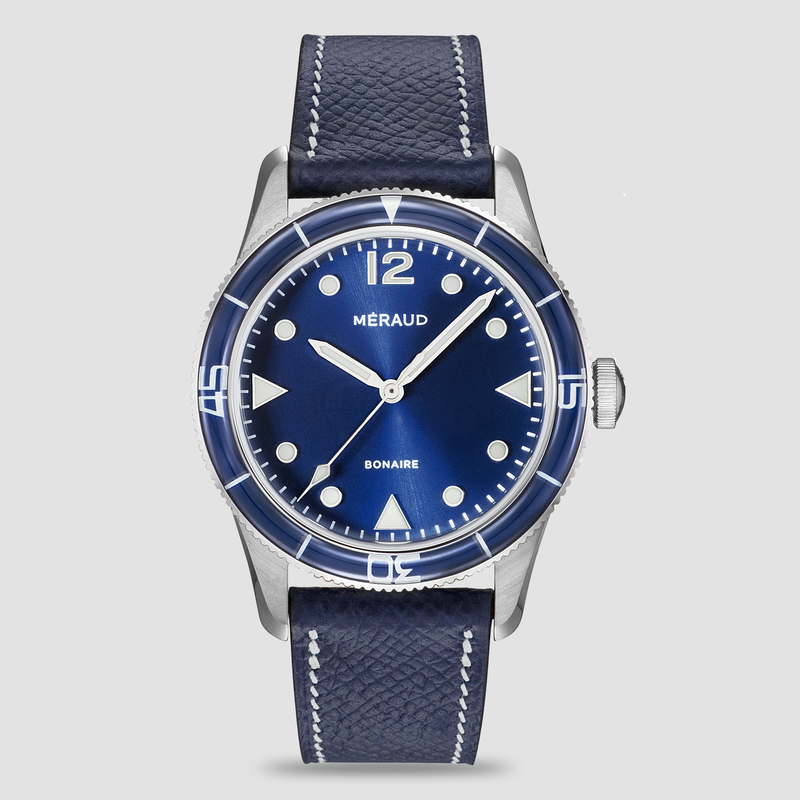 The Méraud Bonaire combines classic style with contemporary practicality. Interested in our straps or accessories? Check out some our current collection. A passion for watches, love for details. 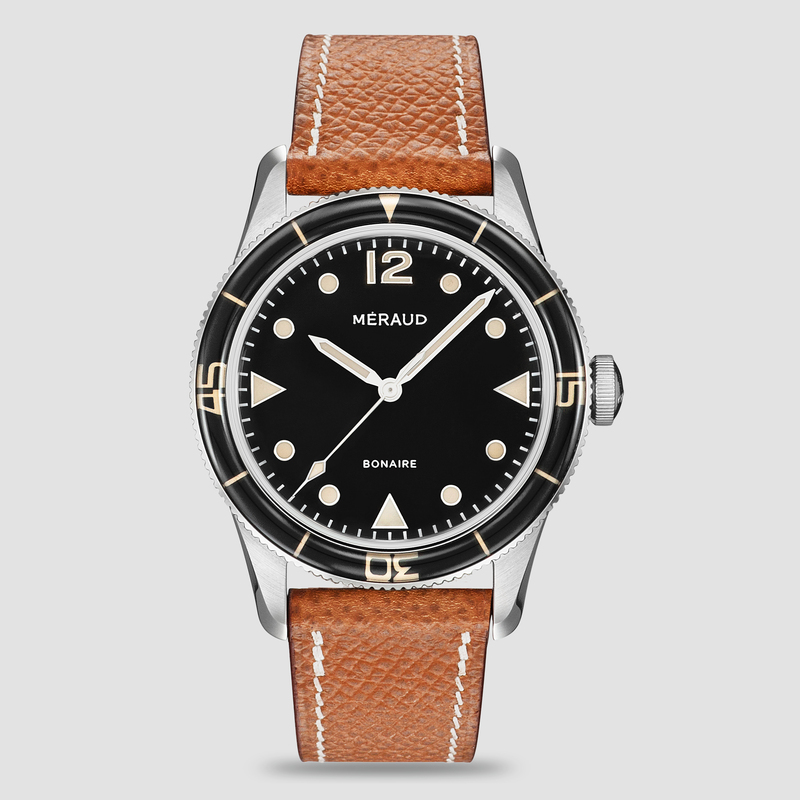 Méraud steps in to fill the void of high quality, yet affordable, vintage-inspired watches built to modern standards. 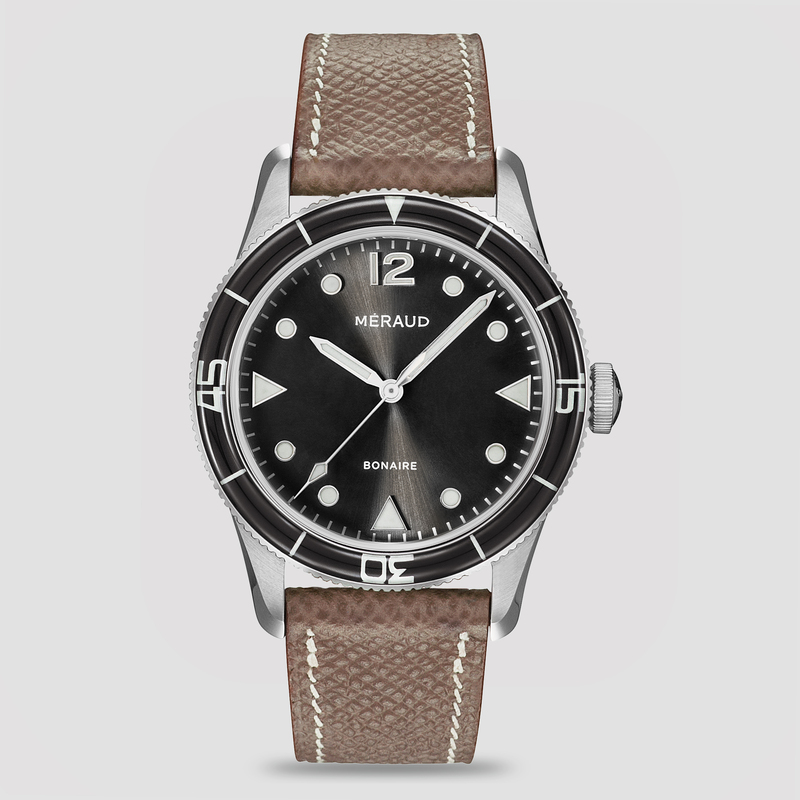 And because a passionate watch devotee is at the helm of the company, no detail was spared in the research, design, construction and packaging of Méraud watches. We’re not your typical boutique brand. Follow us on your favourite social media platform! Join our newsletter and stay up to date about any news and updates!